Is there a limit to the number of miracles per person? I hope not because we’re praying for yet another one! My sister-in-law, Josie, is dying for the fifth time. Her first brush with death came one Easter Sunday when she collapsed in the shower preparing for church. She had a brain aneurysm rupture. She was rushed to the hospital where she remained in critical condition for over a month. The doctors said it was a miracle, because most people do not survive. While recovering from the aneurysm she contracted MRSA, the flesh eating bacteria—another bout with death. The doctors were not hopeful that she would recover, but we called the people of God together and prayed, and she did! The doctors proclaimed it miraculous, again. A “coil” led to brain surgery later in the year, and once more she survived. The doctors were not as quick to give God credit for that save. Several years later, Josie was diagnosed with Metastatic Endometrial Cancer. The doctors treated it with aggressive chemo and radiation. She lost all of her hair, but within a couple of years she was cancer free! You can imagine how our family celebrated God’s miraculous power, how once more God intervened! And then, almost two years ago, Josie was diagnosed with Papillary Seros Carcinoma— yet another cancer. At this point, we have begun to wonder if it is selfish to ask God for a fifth miracle. Is there a quota? 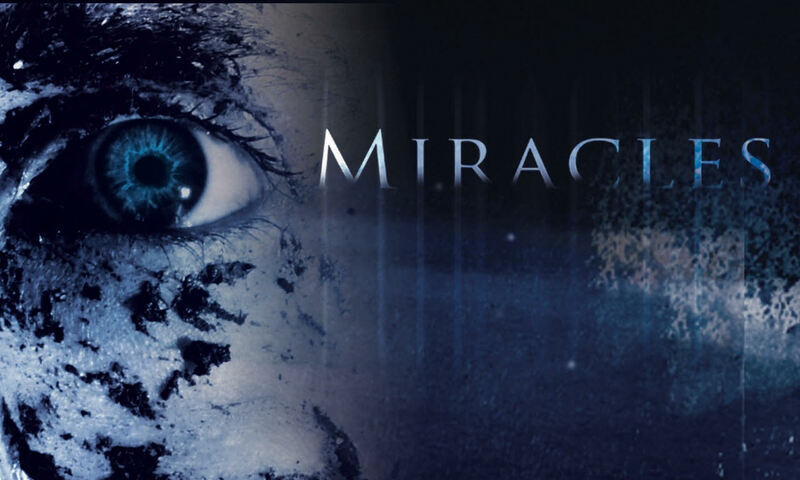 In recent years, I have been hesitant about how I describe miracles, especially in regard to setting expectations for those who are praying for one. It is okay to evolve in our theological thinking! The last thing I want to do is give someone the wrong impression of God. I have been guilty of praying, “Lord whether by the miracle of modern medicine or by the miracle of thy hand, please heal ‘John’ if it is your will.” Perhaps it’s time to rethink that prayer for healing. Why would it not be God’s will to heal John or Josie for that matter? In Josie’s case, it appears to have been “God’s will” the first four times she faced death. Thomas J. Oord engages the subject of miracles in a fresh and exciting way with his theological theory, “Essential Kenosis” (EK). EK seeks to explain more than miracles, essentially saying that God’s very nature is love. One might ask why love would ever prevent God from miraculously healing cancer. Common sense might suggest the opposite, and, in fact, God’s uncontrolling love works with creation in the healing/redemptive process. In such an understanding, the role of creatures and created things becomes necessary, because God’s very nature limits God’s ability to coercively intervene. Coercion and love contradict one another. If God were to act in any way other than loving, He would cease to be God. Oord says, “Biblical writers frequently say in an explicit way that creatures or creation plays a role in the occurrence (or not) of miracles. These accounts strongly support the Essential Kenosis view that miracles happen without divine coercion.” Because real love is non-coercive, God needs our permission to act. Oord asserts that, “Healings are the most prominent examples of miracles involving creaturely contribution, and healings are the most common miracles mentioned in the Bible.” There are numerous Biblical examples such as the hemorrhaging woman, the blind beggar, and the ten lepers. In each case, some human participation is required for the miracle to occur. Faith plays a role, to be sure, but faith is not some magic we wield by praying or believing hard enough. Instead, faith compels us to act! But what person would not want to be healed? I know Josie wants to be healed. If various capacities of free will exist based upon the complexity of the creature, even cells may have some form of agency. A cell would have fewer options available for cooperating (or not), because it is less complex, but the possibility exists. Therefore, for Josie to be healed of her cancer her body must cooperate with God’s act of healing. Many people have suffered profound loss and the idea that God allowed the suffering has left them with doubts about a loving God. When pain and doubts are left unrecognized and unreconciled theologically, this often results in angry, rigid people. Richard Rohr says, “When religion cannot find a meaning for human suffering, people far too often become cynical, bitter, negative, and blaming.” EK brings some hope and peace regarding God’s culpability for suffering. Perhaps this is a new understanding of God for you. It may seem frightening or produce anxiety to consider that God is not controlling everything from thunderbolts to sunshine, that God is not “allowing” the pain and suffering for some greater good. Some may think this weakens God or makes God less powerful. Could we be so impatient for our healing that we have decided coercion is the shortcut? The use of force breaks things more often than it heals them. Love is the greatest power. I wonder, which is a more powerful God—one who can control all things, but for reasons known only to God, chooses not to intervene or the God whose very nature is uncontrolling, non-coercive love. This nature of love prevents God from forcing creation, trusting that very creation to work cooperatively, in love—the kind of love that embodies heart, soul, mind, and strength. Certainly, there is comfort in the belief that God has everything under control, and we should get out of God’s way and let Him do His thing. But if that’s the way it is, I sure wish God would hurry up and do whatever it is that God is going to do. We’re dying down here—especially my sister-in-law! Rev Jeff Skinner is the husband of Dr Lisa Skinner and father to two adopted children; Blaine (12) and Hayden (9). He grew up in Tuscaloosa, AL. He is a Master trainer for Dynamic Church Planting International. His Undergraduate degree is from Trevecca Nazarene University, he received a Master of Arts from Northwest Nazarene University, and a Master of Divinity from Nazarene Theological Seminary. He is Currently enrolled in Trevecca’s Doctoral program for “Leadership and Professional Practice.” He is currently in transition to be The Lead Pastor @ Worthington Church of the Nazarene in Worthington, KY. He has a passion for helping people interpret life in a broken world in light of God’s Love.